The USS Sunfish (SSN 649) reunion site is dedicated to the men who sailed the ocean depths aboard this able boat. Her undaunted crews were ever committed to ensuring freedom of the seas by maintaining a battle-efficient vessel. We’re grateful for all that stood behind this submarine: from keel laying to decommissioning. The list includes shipyard and support personnel, and in particular the families that have suffered many sacrifices in the interest of the US Navy’s diverse missions. The keel for SSN 649 was laid down by General Dynamics in Quincy, MA on January 15, 1965. She was launched October 14, 1966 while sponsored by Mrs. Robert C. Byrd, wife of the West Virginia Senator. The USS Sunfish was commissioned March 15, 1969 with Cdr. Richard L. Thompson as her captain. 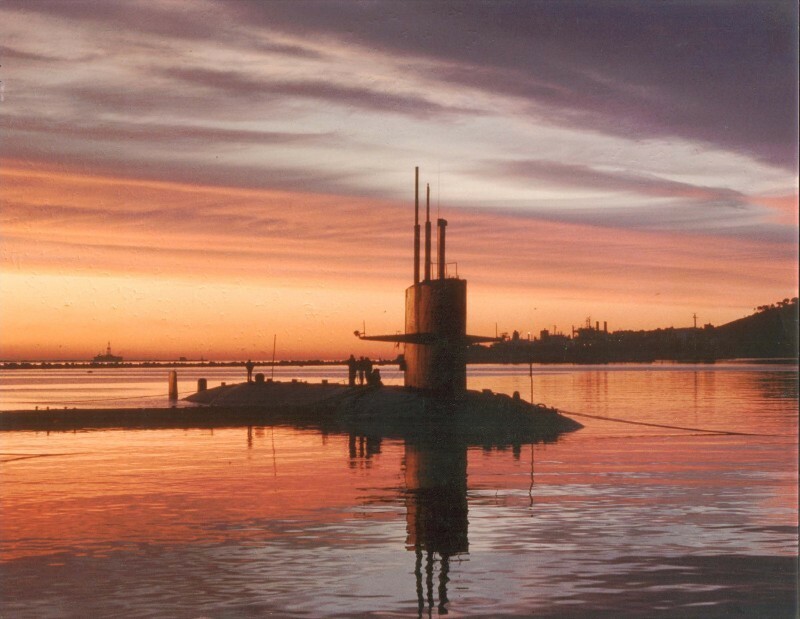 The submarine was decommissioned and simultaneously struck from the Navy List March 31, 1997; and disposed of through the Submarine Recycling Program at Puget Sound Naval Shipyard on October 31, 1997. The Free World is eternally indebted for your service! Our next reunion "The 50th Anniversary of the Commissioning of the USS Sunfish SSN-649" will be held June 26-30, 2019 in Norfolk, VA. We have reserved The Wyndham Garden Norfolk for our gathering. The Pool area on Friday night from 4:00pm - 10:00pm for a cook out. Free parking, Free WiFi, Breakfast for two (additional may be added for a cost of $5 each). The room cost also includes taxes for each night. Total expense for room will be $156.00 per night. We are also putting together a Dinner Cruise Friday night of the reunion aboard "The Spirit of Norfolk". Price of the cruise is $63 for adults and $37 for children 12 and under; this price includes taxes and gratuities! I am also including a copy of the menu for dinner on the cruise! The Itinerary and the Registration Form are available! Payment needs to be in by April 30th for us to be able to finalize the reunion. Please finish making your Hotel Reservations as soon as possible! This effort on your part will also help us in our planning as it gives us an idea of the number of attendees! Make sure that we have your correct email address and keep checking back here for updates. Join the Sunfish groups on Facebook for another place to stay posted. Each of the previous gatherings have been a memorable experience. Not only is it exciting when you run into shipmates from your time on the boat, but also great to meet Sunfish sailors from different eras and hear their ‘stories’. Please pass the word to former crew with whom you have contact and encourage them to attend. Hope to see you in Norfolk ! We’re continually hearing from additional Sunfish sailors so try to get in touch with those you knew and encourage the men to sign up. More than anything else, direct contact with your shipmates will get ‘em fired up about coming to the reunions. We try to keep a current sailing and e-mail list so please write to the address at the bottom of the page with your updates, and give any general comments you might have. If you don’t know the information needed to find someone you served with, drop us a line because we may be able to help get you connected. Don’t forget to visit the log book by clicking on the button above and also read 'Last Voyage of the USS Sunfish: The Closing of a Circle' before you leave.